I am a teeny bit OCD. I like clean. My five year old…would live with a pack of wild dogs if he could. When I am NOT at work, playing cars or being Batman, I am doing housework. Bet you are overwhelmed with the sound of my rock and roll lifestyle! Anyone else’s laundry pile seems to never end? I usually end up doing chores when it is dark and I should be watching Netflix. Getting into a routine helps me keep on top of things…as does sending the boy to nanny’s for a week. We leave our shoes by the door; I put a load of washing on as soon as I get up, having a clean bathroom sink convinces people the whole bathroom is clean. I always make sure I wipe down the kitchen countertops to avoid getting stuck to two day old Weetabix. We have lots of storage boxes so toys are put away each evening. (Otherwise Mummy tends to step on sharp little Lego men and have to use the S word the rhymes with poo). You could just move house. Kids wipe their noses on walls and smoosh biscuits into your sofa. Chocolate biscuits…on beige fabric. Why the hell do I have a beige sofa? Or you can hire a maid. If like me you can’t afford it and mistrust strangers in your house The Parenting Jungle has teamed up with Dr Beckmann, creators of products for household and laundry care for more than 40 years. 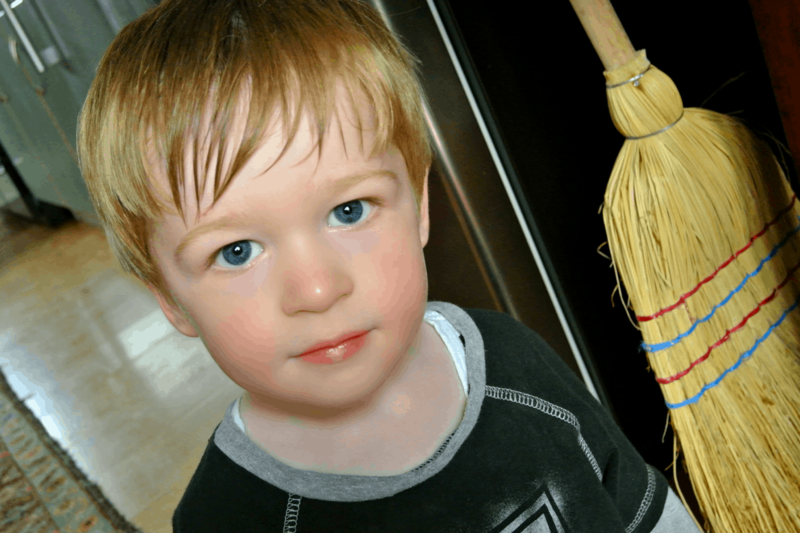 Here are our MINIMUM EFFORT cleaning tips for families with small mess makers because none of us want to spend precious free time sorting the house. We would rather be drinking wine. (You can check out their cleaning tips, so when you spill that while on the carpet no one will know). Use a clothes roller to clean crumbs off sofas and dust light shades. Stick newspaper underneath the bin bag in case stuff spills. Because it will. Wipe cloudy glasses with vinegar to make them sparkle like a Colgate advert. School uniforms were put on this earth to make me suffer. You buy pristine little jumpers that come back covered in marker pen and unrecognisable substances. Dr Beckmann sent me their Stain Devils Kids Stains Kit. This is a box of three stain removal solutions that remove a number of common stains I.e. baked beans, chocolate, felt tip, finger paints, gel pen, highlighter pen, PVA, mud etc. Perfect for with messy kids! The first go faded the stains, I pulled a dubious face… second time I used it they were gone. These were old stains, stains that had been washed in. The stains that are fresh, they have no problem in removing. If your little one has a backboard you can put chalk on grease stains to remove it! White polo shirts turn a nice hue of grey in this house. Dr Beckmann advise using a sachet of Glowhite ULTRA. You now only have to buy three shirts instead of twelve. Also they have a Colour & Dirt Collector which means now I can chuck all the laundry in together and my OH won’t have pink boxers. Sorry love. It saves time and money combining loads. Baby wipes clean pretty much EVERYTHING! Use play dough to clean up spilled glitter. You then have new improved playdough. MUM Win. If you have a mug ring on a varnished table use your hair drier to get rid of it and rub some olive oil over the top. No one will know. Deposits of food and detergent can settle in your dishwasher, making pongy odours and an unhygienic machine. You could try one cup of vinegar, one cup of baking soda and lemon or use Dr Beckmann’s Service-it Deep Clean Dishwasher Cleaner. If I find odd socks I dampen one, stick it on my hand and use it to clean the bathroom floor tiles. A clean sock. Put plastic bags filled with vinegar around your shower heads to rid them of stains. Rub old (or the ugly pink shade your great aunt bought you for Christmas) lipstick on silver and buff it with a rag to make it sparkly again. Use Dr Beckmann Service-it Washing Machine Cleaner to kill 99.9% of micro- organisms and bacteria when your washer starts to smell or go mouldy. You could also put half a cup of mouthwash on an empty cycle before to help disinfect the machine. Clean machine = clean clothes. Use coffee filters to clean TVs, monitors and other screens. Pour coca cola down the toilet to get rid of stains. Do not give it to your kids…they get riotous and bouncy. Dr Beckmann multipurpose Power Cleaner is my new favourite product. It is witchcraft. It does everything. Bathroom, ovens…dirty trainers and those weird scuffs that magically find their way up your walls. You can also try and use toothpaste to get crayon off walls. Minty fresh! Then go take a nap. We found all of the products really effective, they did not have any harsh chemical smells and the website offers really clear step by step guides how to use products. Disclaimer: I received a complimentary set of Dr Beckmann products for the purposes of this review. All thoughts and opinions are my own. I totally agree with you! Also, if you have a set, practical game plan for cleaning your house or even keeping it clean, it’s so much easier to stay on track. Great pointers! Thanks for the helpful advice! Love all these tips and tricks!